« Don’t Sweat the Small Stuff. Want To Be Happy? Be Humble. Today we ask that you be humble. It is good to be a humble person. This is not false humility. False humility is what happens when someone with a very big ego is overwhelmed by a sense of worthlessness and inadequacy. The larger the ego, the deeper the plunge into such feelings. 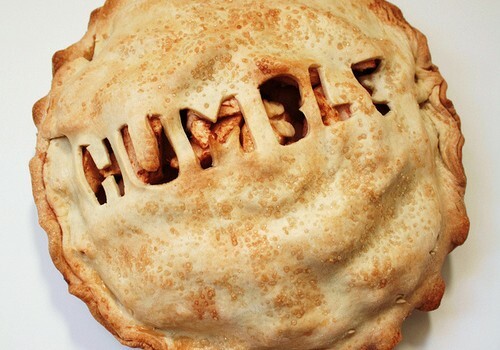 False humility is not the same as being humble. Being humble is just being honest about how little you really know. It is recognizing that even if you have studied something for many years, you are still a journeyman, still a beginner. You are always open to learning new things. Being humble means realizing how limited your perception is. Being humble means not walking through the world with a constant need to feel superior to others, arising out of a sense of terrible inferiority and worthlessness. Being humble means, stop being a critic. Everyone is doing their best. Before you judge a restaurant owner or a TV show writer or the person driving next to you in traffic or a celebrity, ask yourself: “Am I in this person’s place? Would I really do better if I had to trade places with this person?” Really be honest about this. Think about the conditions of the other person’s life. Can you say with absolute certainty that you would do better? Humble things are simple things. Humble people have a simplicity about them. There is a kindness, a warmth. They do not mind looking foolish. They do not mind being beginners, and admitting how little they know. True humility has nothing to do with being “worthless.” A truly humble person is completely secure, and self-loving. That is why he is not afraid to reveal how little he knows. Be humble. Be simple. It’s okay to look foolish, to fail, to stumble, to be a beginner, to admit how little you know. Whenever you feel very swollen with some sense of superiority, it is always a prelude to a fall into worthlessness. When you are humble, you will be liberated from such highs and lows. It is a very free and light state to dwell in.